Meet Glenda (gagafor2), a member of the 2016-2017 Team of Advisors. Glenda is a wife, mother and grandmother who finds great joy in making others happy. She’s also living with idiopathic pulmonary fibrosis (IPF). 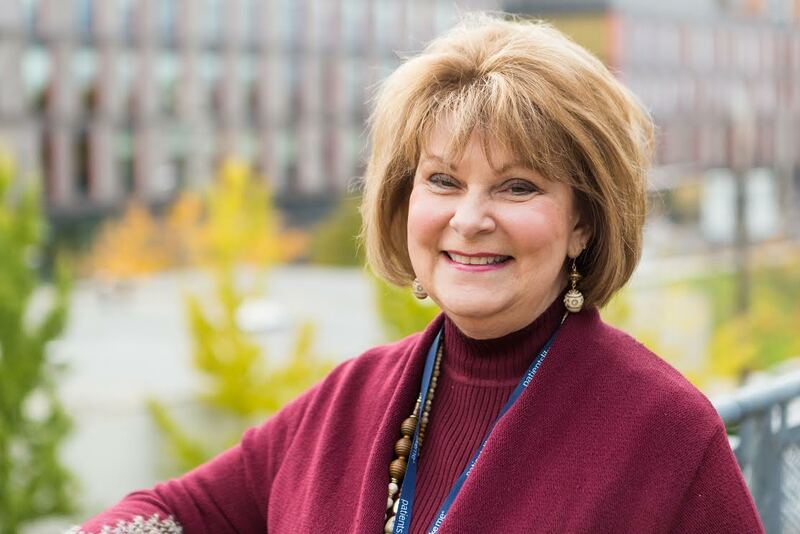 Recently, Glenda told us about coming to terms with the “unknown” in her future and coping with anxiety: “PatientsLikeMe became my lifeline to information and patients who knew what I wanted and needed to know.” Check out the rest of her story and learn how Glenda hopes to represent other members of the IPF community. I would have to say making others happy makes me smile. I love to give and do special things for others, it gives me great joy I get so excited when I can find that special gift or plan that special surprise for someone else. My family gives me the greatest joy of all. I have had a wild ride so far with my husband of 45 years and my children and grandchildren. We moved many times throughout the last forty years to different parts of the country, making so many incredible friends and have having such wonderful memories. Yes, I still print out some of my photos just to pass on to my children and granddaughters so they can also look at, hold, and remember all the great memories that will live on throughout time. I am a pretty sentimental person. Our little granddaughters six and nine are so much fun and they give me a reason to fight with all I have and to live my life the best I can. What has been your greatest obstacle living with your condition, and what societal shifts do you think need to happen so that we’re more compassionate or understanding of these challenges? My greatest obstacle with being diagnosed with a terminal illness is the unknown. Not knowing to me like being in a dark room trying to find my way around, just stumbling around seeking help. Most of my family and friends always tell me “you look so good.” Yes, I do look good, makeup, hair color, and clothes can paint a pretty picture. Inside is the emotional and physical picture they do not see, nor the frightening experience of the what ifs that can happen at any time. Now I try to look at the whole picture of a person and have great empathy with what is going on with them. Most days are good and I go on taking it one day at a time, even knowing it is a progressive disease and could change at any time with an exacerbation. I have become germ phobic trying not to get an infection or virus to cause a decline. My husband and I own our own business so I still work, now on a reduced schedule. Fatigue is sometimes overwhelming and keeps me from getting together with friends and social events as I used to. Every three months I go for pulmonary function tests which give me great anxiety before I get to the hospital to do the test. I am so afraid each time I take them that my numbers will decline. I know I cannot do a cram study for pulmonary function tests, but I do tend to over think the whole procedure for fear of lower numbers. I do take one of two medications approved in 2014 that can slow the progression of IPF in some people. Right now, I receive help paying for the drug, ($96,000 a year) but next year I will go on Medicare so that gives me financial worry also. I have heard of patients not having insurance or being able to afford the cost of these drugs, which makes me angry and sad. Something needs to change for people who need these kinds of medications. When I was diagnosed with interstitial lung disease I was not given much information or why I might have gotten it. I began to look on the internet to find out what I might have. I learned that IFP was the worst kind of interstitial lung disease with no cure and a life expectancy of 2-5 years. Boy, did I have a huge panic attack, checking into the ER. I then had testing done to confirm what I had, and then getting a phone call at work telling me I had IPF. It was so traumatic to be told this over the phone with no explanation just to wait until my next appointment in 2 months. PatientsLikeMe became my lifeline to information and patients who knew what I wanted and needed to know. This amazing site gave me information, advice, and hope. Please get all the information you can so you will know the right questions to ask your doctor. I have found through my own experiences in the health care system you need to be proactive and not reactive with your health and the information you need. Please go seek supports groups and places like PLM to speak with others who have already experienced what you are going through. Then pay it forward to someone else who is newly diagnosed. We all need each other. Recount a time when you’ve had to advocate for yourself with your <provider, caregiver, insurer, someone else>. A few years ago, I became very sick not able to function at all. I gave my symptoms to my physician over and over without him getting to the exact cause. This went on for a year. My doctor became impatient and annoyed with me, making me feel like a stubborn patient because I kept coming back not getting any better. I finally asked him “would you like me to see another doctor?” I don’t believe he had ever been asked that question before. I did change physicians and we finally got to the bottom of the problem. We only have one body and we are the only ones who can advocate for the best treatment we can get. I try to learn as much as I can before I visit a physician so I know the right procedures and questions to ask. I don’t like to think we are just numbers but sadly it can be that way. I have found that going in the hospital requires someone on your behalf to monitor everything being done and given to the patient. How has PatientsLikeMe (or other members of the PatientsLikeMe community) impacted how you cope with your condition? PatientsLikeMe gave me the hope and compassion I needed at a time I was sinking in despair. Just being diagnosed with a terminal illness is a lot to handle on your own. I immediately connected with other IPF patients who gave me sympathy but also hope. A dear friend I met sent me a book of scriptures she said she wanted to pay for and send. What an angel she has been. Then there are the friends who know so much I just can’t pick their brain enough. It is a 24/7 online support group when you need it. It has given me information to make wise choices about medication to choose, supplements to take, and ways to cope. They have helped me beyond words; I wish I could name them all but just too many. I now hope to carry the torch forward for those who are newly diagnosed to those who are further along the road we travel. How can we make our health care work better for us? Tell everyone about PatientsLikeMe, how we can connect and share with other patients, put in our test results, and know how to talk to our doctors and providers while being more informed. 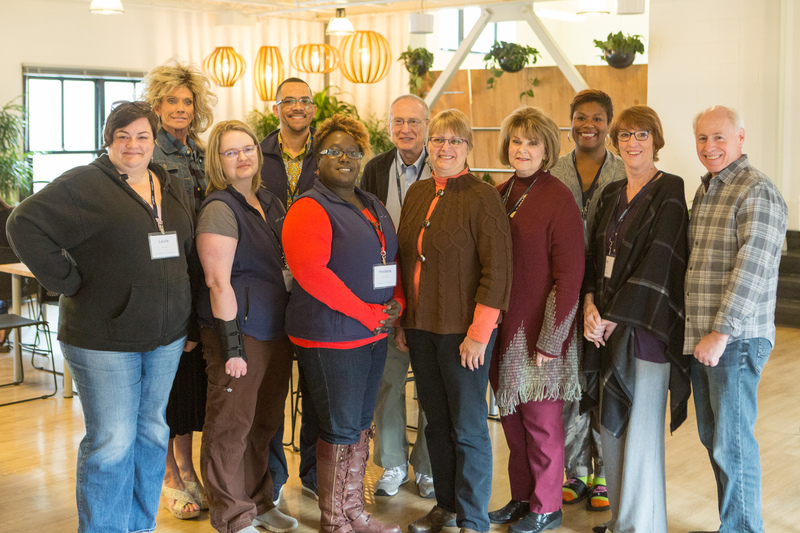 What made you want to join the PatientsLikeMe Team of Advisors? The only thing I know is that I wanted to make people aware of the PatientsLikeMe website. I did not expect to be chosen. I am not eloquent at putting my thoughts in writing, nor the most informed patient. I’m just an average person who got diagnosed with a chronic illness who wants to let others know how much I rely on communicating and sharing information. I was shocked when I received the notice I was chosen. It was only during my trip to meet my fellow advisors that it came to me why. I want patent health care to get better, patients to be more informed. I love having all the data in one place and available to share. I love being able to enter every lab test, pulmonary test and medication so all can see and compare to each other giving us the ability to make informed decisions. I value each person on the site and their willingness to share their experience, data, and all other aspects of their health care. I am an informed patient now able to have a conversation with my physician on a higher level of understanding because of PatientsLikeMe.